My name is Janice Burns. 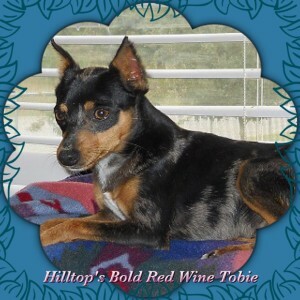 I am the proud breeder here at Hilltop Acres, offering registered HPA Harlequin Pinscher and ACR registered Miniature Pinscher puppies for sale from top quality and genetically tested lineages. All of my dogs are healthy, non aggressive, exhibit great personalities, and good with children. The puppies I produce are bold, family oriented, playful, self confident, intelligent, eager to please, good with children, adaptable to any environment and will make great companion dogs for their owners. They are superior in health with parents being veterinary health certified, DNA certified and genetically cleared of MPS VI, PLL and Cystinuria. I strive to be consistent with the quality of my pups, by selective breeding only from the best genetically cleared lineages possible for coat coloring/texture, temperament and structure. 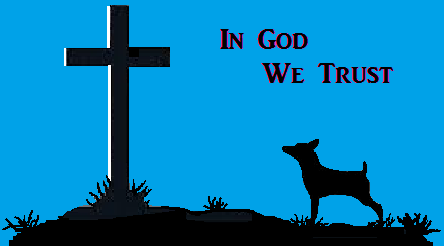 All of my dogs lineages can be traced back to the foundation stock at Running Ridge in Texarkana, Arkansas. I am a 5 Star Gold Super Highway Breeder and co-director of HPA. I live on a small farm in the southeast corner of Arkansas. I have been a dog breeder for over 20 years. Up until 2013, I breed the traditional Miniature Pinscher on a small scale. The Min Pin breed has always been intrinsic to me. I love the outdoors and all the adventure that goes along with it. A Min Pin was always seen by my side. In the winter of 2012, I had a great lose of my male Min Pin partner of 10 years. Saddened and feeling the emptiness in my heart, I began the journey to find another little partner. Thinking he never could be replaced and hours on the internet looking at puppies, I came across a darling little male black and tan merle Harlequin Pinscher that caught my eye. I was fortunate to acquire this little merle male from Nancy Anderson (Running Ridge) in the summer of 2013. He quickly stole my heart and so began my quest to help establish the breed. Since then I have acquired my little pack of 12 dogs. Most of which have came from Running Ridge. I feel very fortunate to be a part in this breed and will do my best to uphold all rules and standards. I have done a lot of genetic and background research on the Harlequin breed. I work diligently with other ethical Harlequin Pinscher breeders to lay the dirt work for a sound foundation of Harlequin Pinschers. We are known as the SUPPER HIGHWAY BREEDERS. I despise unethical breeding and anyone who condones it. I will quickly dismiss all social interest with them. This breed truly deserves the best and the best it will be through ethical breeding, education and exposure. I will do my best to help all who truly wants to learn about the breed and do right by it. But I will also be quick to break ties with the ones that cross the unethical line. I am a stay-at-home mom. I spend the most of my time home schooling my son and the rest taking care of my dogs. My dogs are a part of the family and treated as such. They all have names, their own personal space and a huge fenced yard to call their own. They adventure daily outside in a huge fenced yard to run and play. At night they come inside and at bedtime all have their own kennel crate to sleep. When bad weather strikes they stay inside lounging on the furniture and playing with quick trips outside to potty. Being a small scale breeder and a stay-at-home mom allows me to do this. Yes, continuous cleaning, picking up and maintaining of dogs and the house is a lot of work! But I enjoy it and wouldn’t have it any other way. I do have inside spaces and outside kennels to place select breeding pairs or separate females in heat from the males if breeding is not desired. Females in heat are in no way banished to themselves. They are the privileged ones that get to go with me everywhere. Unless a breeding is planned and with a male. All of my puppies are whelped inside my home in a separate room from the other dogs. I have specially designed whelping boxes built just for them so they can be cleaned and disinfected daily. This way I can keep an eye on the mom during whelping and assist if needed. In case I have more than one litter at a time, each litter has their own spacious area to give the mom her own space separated from the other mom and litter so she is content and can spend her time raising her puppies rather than trying to keep other dogs from bothering her and her pups. Once the puppies are up and mobile they are allowed to make excursions outside and enjoy things like grass and sunshine. While out on their excursions they get to interact with all sorts of fun things like other dogs/puppies, lots of toys, cats, cows and roll in the grass with me and my son. Once the mom stops cleaning up after the pups SOMEBODY else has to take over the clean-up duty. Yep, you guessed it, it’s ME! Pups are introduced to the potty pads at 3 weeks of age. Usually the first week is a constant battle to get them to use it and not play with it. By 5 weeks they get the idea and are well on their way to potty training. At 5 weeks the pups are introduced to the litter box. At 8 weeks pups begin to be introduced to the outside. Mom begins to wean the pups and stops nursing by 6 weeks. I pick up the pace here as well and make sure the pups are eating on their own. By 10 weeks old the pups have grown a lot and ready for their new adventure to their new homes awaiting. My puppies are precious and deserve only the best. Serious Inquiries Only!! I screen all potential puppy buyers through the puppy inquiry, internet research and several phone conversations. I reserve the right to refuse a potential buyer if I feel the need. They will stay here with me until the right family comes along. UPDATE!!! Begining Feburary 2018. Our pups are being raised using the Puppy Culture Program!!! This in our opinion will help shape the pups for their future. UPPDATE!!! As of October 2018. 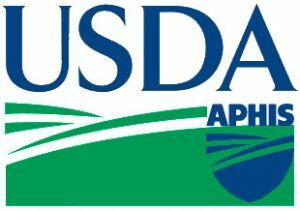 I am proud to announce that Hilltop Acres is officially USDA Licensed. A $200 deposit is required to reserve a puppy. We do accept western union, WAL-MART to WAL-MART money transfers, Postal Money Orders or cash on pickup. Oher payment arrangements may be made depending on situation. We do ship our puppies by Delta Airlines. Canada shipping is also available. We are willing to meet within short distances depending on our schedule. Please be sure you are willing to make the trip to pick up a puppy on the dates we set for a puppy to be picked up prior to sending a deposit.​ ​Deposits are Non-Refundable.